Sourcing materials responsibly is crucial for the health of our planet. Sustainability efforts have been woven into many business models as people become more and more educated on the importance of environmentalism and eco-friendly consumerism. 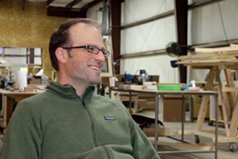 Below you’ll learn how sustainability relates to the timber industry. When specifically looking at the timber industry, sustainability focuses on whether or not the wood is sourced in a responsible manner that takes into account the health and preservation of the forest. For example, if trees are regularly cut down without counteracting the loss and promoting new growth, the forest would be destroyed. This would be considered an unsustainable and harmful practice. Without responsible sourcing and manufacturing practices, we will continue to hurt our planet. It is truly that simple. There is no perfect business model but every effort made and every action taken is a step in the right direction. By discussing sustainability and implementing practices that consider environmental consequences, our forests can be richer and even more plentiful. 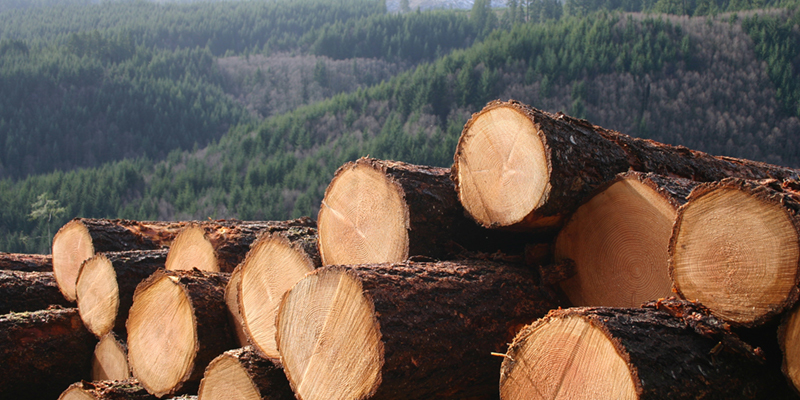 Appalachian Hardwood Manufacturers, Inc. (AHMI) certifies wood to their strict sustainability standards. One of their requirements is adequate regrowth. All of the maple and poplar found in our furniture pieces has been certified sustainable by AHMI. Savvy Rest also supports American Forests, the nation’s oldest nonprofit conservation organization. For every purchase made, five trees are planted through the American ReLeaf program. This program focuses on restoration, a key component of sustainability. 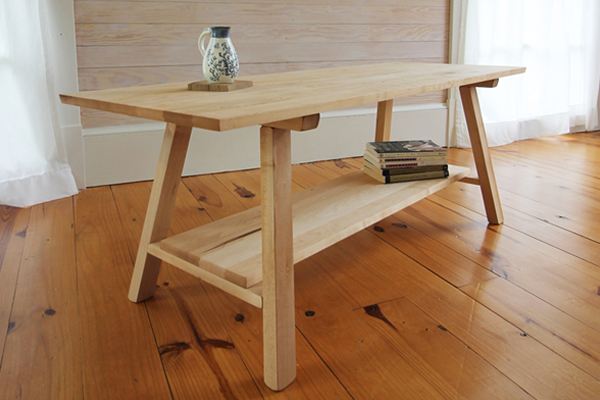 Savvy Rest offers several sustainably-made furniture pieces. A lot of thought goes into both the design process and the materials used. We wanted our furniture line to embrace the same natural and environmentally-conscious values as our organic mattresses. The frame of our organic sofa is made of sustainably-sourced maple hardwood, as are the feet. We’ve avoided cheap plywoods and have instead opted for strong, sturdy, and beautiful maple sourced from the northeastern United States. The feet come in several zero-VOC stain options. Sourcing non-toxic stains to compliment our hardwood furniture pieces was important to us, both from a health standpoint and to avoid diminishing the integrity of a natural, sustainable material. The thought of covering it with harmful chemicals didn’t sit well with us. Made with the same materials but in a cozier, two-seater size, our organic loveseat is the perfect addition to your living room. 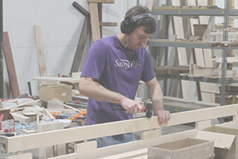 Our organic armchair, like the rest of our furniture, is handbuilt in Virginia by our skilled woodworkers. Our natural coffee tables are also made of sustainably-sourced maple hardwood and come with or without a shelf. We’ve chosen maple because it's both durable and relatively light when compared to other hardwoods such as oak. This decorative maple bench also comes with the option of a shelf. Whether you use it for shoes in your mudroom or choose to keep the shelf completely bare, this bench will add character and natural charm to any space. 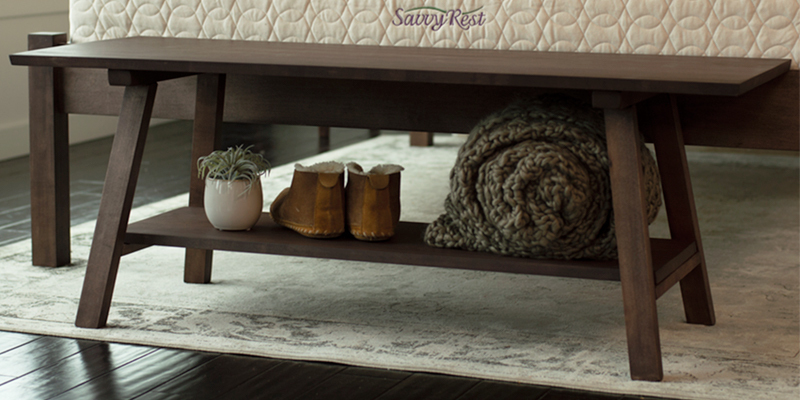 Our flagship platform bed is made of sustainably-sourced maple and poplar. The maple is from the northeast while the poplar is sourced locally in Virginia and West Virginia. The Esmont is made of the same sustainably-sourced wood but comes with a customizable headboard. 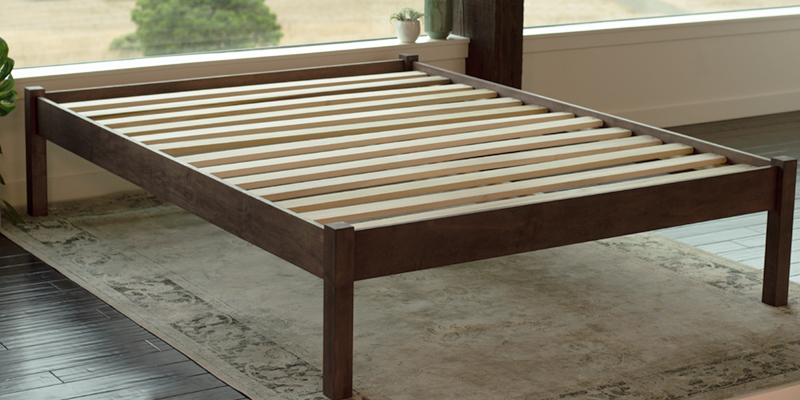 Our platform bed insert is also made of sustainably-sourced maple and poplar. It is meant to replace a foundation or box spring. It can also be used to add some extra height to an existing platform bed. Learn why we chose to use maple and poplar in our designs, and how they result in superior furniture. Our tables are simple yet elegant. Learn more here. A behind-the-scenes interview with our Product Designer.